I love nature about as much as I love art and the two work perfectly together. In celebration of Earth Day, I created a resource of 15 activities and crafts that use nature as a material, inspiration, or reuses items that would otherwise go to a landfill. Our Monochromatic Collage: Green Study is a perfect activity to reuse cardboard, packaging material, and paper scraps. 2. Jumbo Leaf Masks. See how Mary Alice from Brainy Beginnings Network uses these incredible giant leaves for animal faces! 4. Milk Jug Faces. Our recycled milk jugs and plastic containers were perfect for these mythical creatures. 5. Journey Sticks from Growing Family. This fun activity gets kids outdoors to explore and collect nature. 6. Nature has the best free materials! Check out our Tree Branch Painting activity. 7. 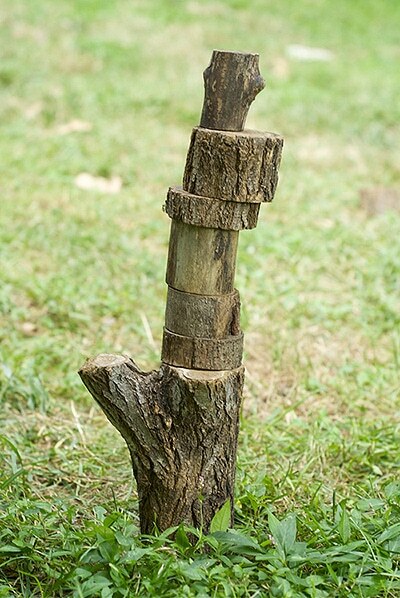 Earth Art Designs by Hands On As We Grow is a great resource for inspiring your kids to get outside and use nature items for art creations and sculptures. 8. Upcycled Owls: Using Recycled Materials for Crafts. These fun owls we made use a variety of recycled materials! 9. Musical Forest from Little Pine Learner. Clever idea using items in nature to create music! This site is chock full of nature inspired activities. 10. Plastic Bag Blooms. These stunning flowers by Handy With Scissors are amazing. Can you believe the picture below is actually made from plastic bags?! 11. Nature Shadow Boxes Collect nature items to create a shadow box using a shoe box lid. 12. Shell Fossil Imprints in Salt Dough from The Imagination Tree. Make your own homemade salt dough and experiment pressing shells to make fossils. 13. Birdseed Sensory Bin This bin is a great way to provide tactile stimulation for toddlers while also letting the mess feed the birds! 14. 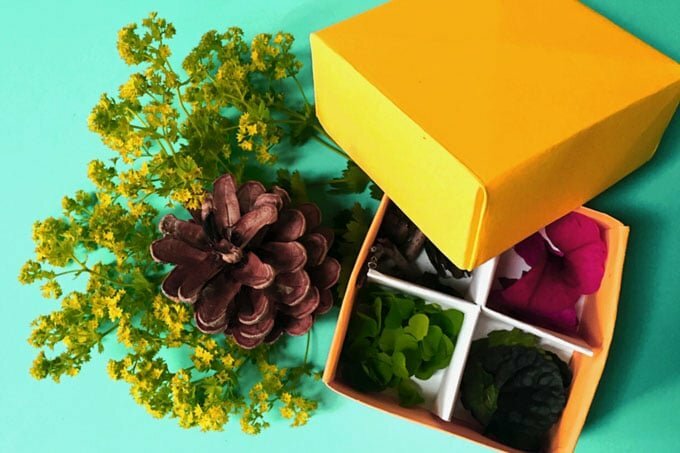 Origami Nature Boxes by Barley and Birch. Learn how to make these boxes to collect your nature finds! 15. Save your packaging from your next delivery box for these Bubble Wrap Wall Hangings! What beautiful ideas! Thank you for sharing our Musical Forest! I love this collection! So many new nature crafts to add to our list of things to try! !